The crest of the angel of death, the Harvester of Sorrow, and the ultimate badge of fate. 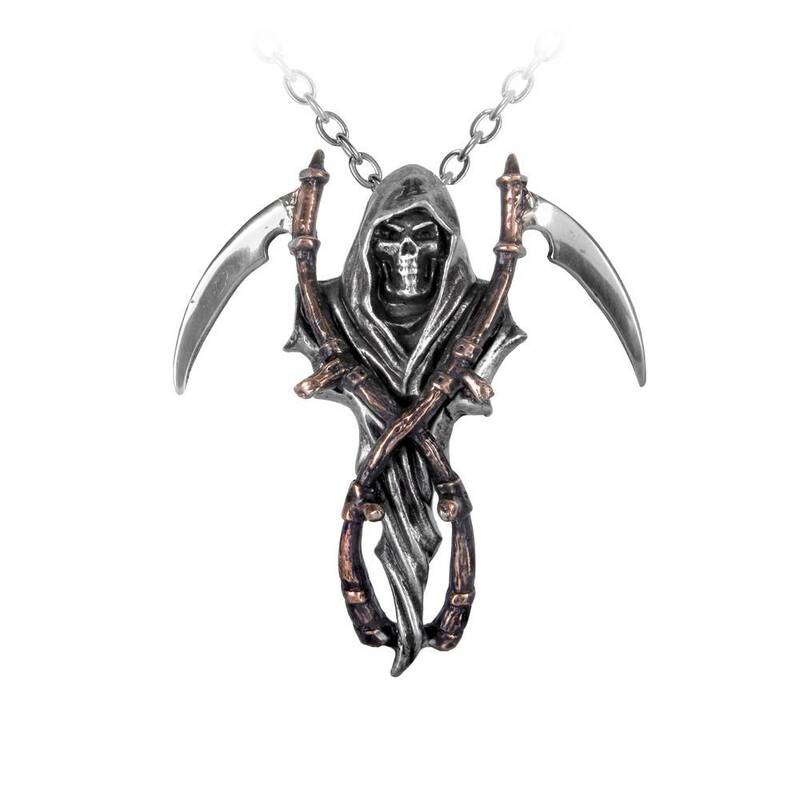 A classic piece of metal wear for the dark at heart. Two-tone pewter pendant of the Grim Reaper with bronzed scythe handles.